Have you noticed how everyone else seems to have a handle on Twitter and yet you seem to be tweeting into nothingness because no one is engaging with you? Even though you’re tweeting regularly you’re not being listened to, it’s as if your tweets are invisible. Making an impact in the Twitterverse is important if you want to get your business noticed. Stop banging your head against that brick wall and read these 8 tips that will get you tweeting like a pro. Using lists will help you make sure you’re tweeting relevant information to different groups of people, a bit like you would do in your email marketing. They are also a great way of helping you keep up to date with what’s going on with the different groups that you follow. When you publicise your blog posts do you just send out the title and a link? How about sending a snippet instead (along with the link) to arouse curiosity? Look at your Twitter feed. Your eyes will be drawn to all those tweets that incorporate images. Use the impact of visuals to your advantage to help your tweets get more attention. When you read an article and decide to share it on Twitter make sure you @tag the author too. This is a great way to start to build conversations and relationships. This is something that should be in all your marketing, but especially your tweets. Showing your human side will really endear you to others. Twitter is immediate, so be topical and put out your opinion of things that are happening in the world. Plus, if there’s something happening in your industry, bring it to the attention of your followers. Although it’s fine to now and then tweet about personal stuff, make sure (in the whole) that what you put out is valuable to your followers. People have to notice you if you want them to pay attention. Join in conversations, reply to people and connect with your audience. The idea is to be seen as an influencer and all these tips will help you achieve that. Twitter is a social media platform that we’ve taken to our hearts. Millions of users generate an army of tweets promoting, connecting and chatting creating an online community that’s far reaching. Despite that, Twitter is finding it tough to turn a profit. A recent article in The Drum announced that Twitter’s latest published results have shown the company losing £175m between July and September despite a surge in sales and users. Promising figures showing sales up 114% to $361m and a 23% rise in monthly active users to 284m failed to mollify investors with shares dropping 8% in after-hours trading due to the figures falling substantially behind analyst forecasts of around $450m in sales. Mind you, it is still lagging behind Facebook – so is this the beginning of the end, or can Twitter turn things around? It doesn’t take a lot to ruin your Twitter reputation. One badly worded tweet, a lapse in judgement or a tweet in haste could bring everything you’ve worked hard to achieve crashing down around you. To help you stay on the straight and narrow, here are a few tips on how to keep your Twitter reputation intact. Your reputation as a reliable source of information is precious, so guard it with your life. Before you RT anything, always check the source to make sure it’s a genuine article. If your followers click on a broken link, or worse a dodgy one, it could do untold damage to your rep.
How many times have you seen businesses on Twitter just slamming out ‘by now’ tweets and nothing else? Annoying aren’t they? Building relationships must be your first concern on Twitter if you don’t want to be seen as a spammer. Take me for example; I won’t put out a tweet saying ‘buy my copywriting services now’, instead I tweet about things that are happening, put out links to my blogs and retweet stuff I find interesting that I think my followers might like too. For me, Twitter is about chatting, making new friends and helping those who are looking for advice. Many of your customers will use Twitter as a way of getting hold of you because it’s quick. But that means you must respond quickly. Taking days to reply to a tweet isn’t good enough. Your Twitter account must be monitored at all times so you can act quickly when you have to. Tweeting once in a blue moon isn’t going to work. If you want to build relationships and a following, you must come up with a tweeting schedule and stick to it. Sending out a barrage of tweets once every few months just won’t cut it. You need to be seen daily (if at all possible). Sorry, but there are people out there who are not going to like what you sell or say. But don’t get defensive and don’t let yourself get drawn into a Twitter spat. Respond quickly to any derogatory tweets in a positive way and state facts and your opinion clearly. If you have made an error apologise immediately to diffuse the situation and, if you can, put it right. Other followers will be watching how you deal with the situation. I’m not adverse to automation per se, but keep it to a minimum. Your followers will want to know that there is a real person behind your Twitter account. By all means have your blog posts automatically go out, but make sure there are also live tweets too. Most of that is common sense, but it never hurts to reiterate it now and then. Your Twitter reputation is precious so make sure you take care of it. Twitter is all about engaging your followers. Yeah, yeah, so everyone keeps saying, but how are you supposed to do that? The problem many tweeters have, especially if they’ve been tweeting since the early days, is that they’ve become stuck in a rut. They are pre-programmed to tweet as they’ve always done, even though the platform as made significant improvements since its text only days. Over the years, you would have formed habits in every part of your life. Without thinking you’ll get dressed in the morning in the same way, you get into bed without giving a second thought as to which side you want, you’ll even eat the same breakfast cereal over and over, simply because it’s what you’ve always done. Although you may be perfectly happy with all of that, you could be missing out on something better, you just don’t know it. The same goes for your tweets. You’ve always used your 140 characters to talk about your work, blogs and life, so you carry on doing that even though there is something better out there. I’ve already mentioned how Twitter used to be all about text. Today you can add short videos to your tweets (through Vine) and you can even upload photos direct from your iPhone. Plus, if you do both of those things using pic.twitter.com, your pictures and Vines can be viewed directly from the Twitter stream rather than you having to click to view. Are you going to make me quote figures? OK, you asked for it. Buffer has been doing some testing to see what impact using images and Vines in your tweets has. That doesn’t mean to say you should now go mad and only tweet images and Vines. Use them wisely and weave them into your social media strategy. The increased engagement you will receive will help you to increase your traffic and sales. 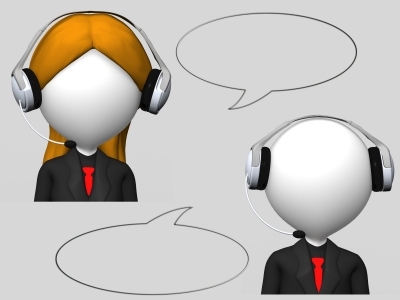 Can Twitter really help your customer service? Many are still sceptical about that, but it really can. The world is far more social these days and consumers love the instant connection that social media gives them. Now, rather than emailing and waiting for a response, they can send a tweet or Facebook message for a faster response. But of course, that only works if you are monitoring those channels effectively. After looking into the role of social media in customer service, I stumbled upon a post on Social Media Examiner. In it they talk about 4 examples of excellent Twitter customer service. Follow the link below and have a read and grab some quick takeaways that will help you improve your customer service and how your customers perceive your business on Twitter. 4 Examples of Excellent Twitter Customer Service.